Steiff British Collectors Bear 2018 Discounts Apply ! Made from The Finest High Quality Cinnamon Mohair. His deep-set boot button eyes overflow with warmth, intelligence and never ending friendship. He proudly growls out loud just how honoured he is to join the celebrated series known as the Jewell in the crown of the collectors world. 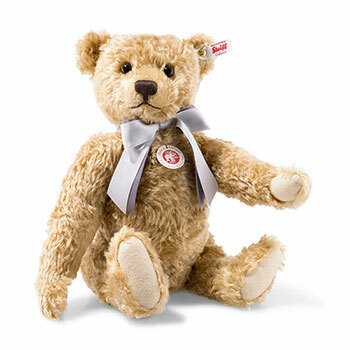 This Bear is part of Steiff's 2018 Exclusive range.